In this new Rotary Year be the Inspiration is our theme. We hope by attending your District Assembly we are able to invigorate and enthuse you about your Rotary and incoming Rotary year 2018/19. 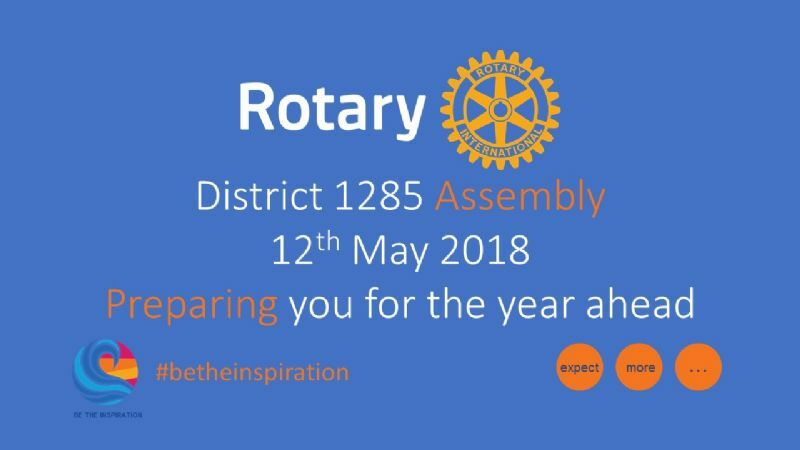 The District 1285 Assembly, will be an inspiring event with a new venue and new approach, further details to follow along with an agenda for the day.